In addition to Sod Replacement and Custom Landscape Design and Installation, Green Side Up provides monthly services to maintain your property, keep your lawn thick, green and flourishing and insure that your current irrigation system is in proper working order. 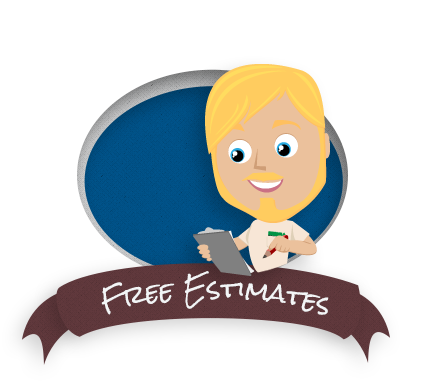 Outside of these monthly services we offer the yearly services of Inside Pest Control and Mosquito Reduction Service. Green Side Up's monthly maintenance service is based on 41 to 45 scheduled visits per year, once a week from April 1st to the week of Thanksgiving. Our schedule changes to every two weeks from the Monday after Thanksgiving to March 31st due to the lack of as much growth during the winter months. No additional charge will be added for as needed visits. Mowing and trimming all grass areas as needed. Hedging desirable bushes as needed. Lawn Care is a service that embodies providing the chemical needs of a lawn. Most importantly is fertilization. This keeps the lawn healthy, green, growing, and keeps roots driving deep. This is by far the key component to a great looking lawn. We also control pests such as Insects, Weeds and Fungus. We include fire ant and flea applications. The initial lawn care service will include a granular fertilization and a complete blanket treatment for insects. Any weeds of fungus noted would also be treated at this time. We will return bimonthly to continue seasonal fertilization treatments in order to maintain healthy color and growth and to treat for insects, weeds, and any fungi noted. No additional service call fees will be applied for additional treatments. Green Side Up cannot be responsible for control of weeds without chemical selective control available. Over 15,999 - The Price is $18.00 for every 1000 Square Feet (rounded down to the nearest thousand) for the regular service rate. The first service charge is 1.5 times the regular service charge rate. Shrub care treatments are performed every other month. Shrub fertilizer is applied in the spring and fall. During the dry fertilizer application, all shrubs are inspected for insects and diseases and treated as needed. Small trees under 4" in trunk diameter at chest height are included. The initial service will include a complete granular fertilization and spray treatment for control of insects and diseases. We will return bimonthly to inspect and treat for insects and diseases to ensure proper health, color and growth. Spring and Fall treatments will include fertilization in addition to insect and disease treatment. No additional service call fees will be applied. Green Side Up is not responsible for treating roses, annuals, potted plants or inside screened enclosed pool areas. Fertilizer products will stain. The annual inside service consists of convenient, well-planned, professional treatments. The exterior will be complemented with quarterly boosters to ensure the control of insects inside and outside. No additional service call fees will be applied for additional treatments. Add $29.00 per year for each additional 500 SQ. FT. For rodent control, add $75.00 to the first year charge. For bed bug control, add $350.00 (minimum) to the first year charge. Flea control at no extra charge. Our Mosquito Reduction Service is designed to greatly reduce the mosquito population on your property by identifying mosquito breeding sites and applying control products to mosquito harborage areas. Treatments are performed monthly from March through October. Add $7.00 per application for every 1,000 SQ. FT.
Green Side Up also provides Subterranean Termite Control and Dry wood Termite Control using a non-tenting, non-fumigation approach.